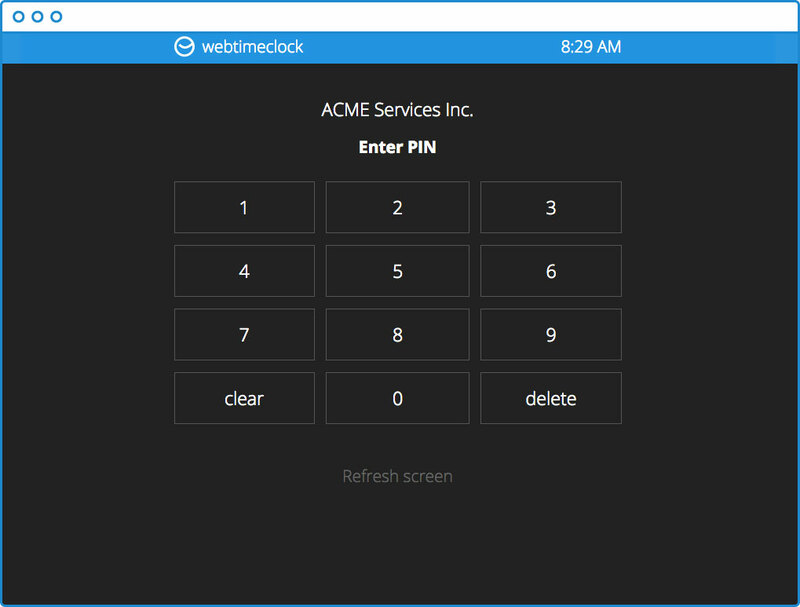 Webtimeclock is an online time clock system. A perfect fit for small to midsized businesses who don't want bloated software. We do one thing, and do it well. What makes them better? Well, they're easier to read, easier to edit, and easier to output than most alternatives. But more importantly they're accruate and reliable. We've been fine tuning this since 2003. You may not need a physical time clock. 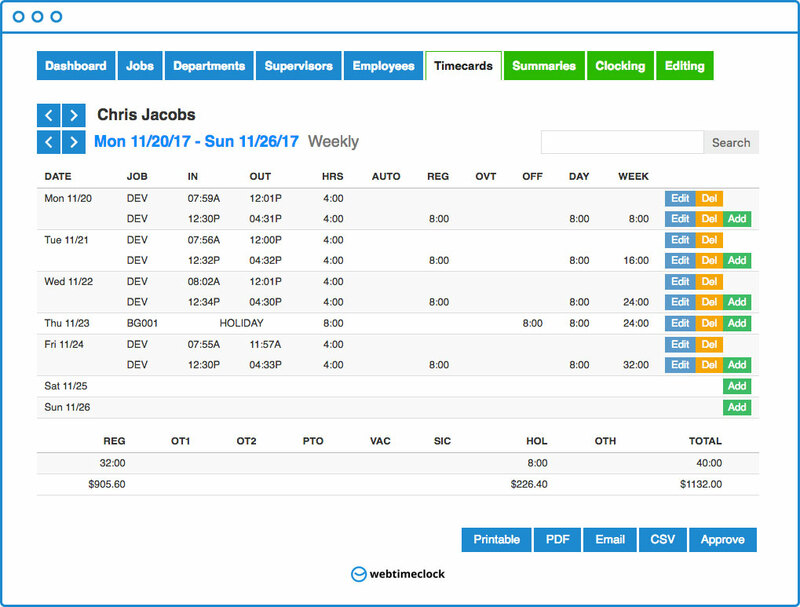 Have employees log in directly from our website. They can use their computer, phone or tablet. Nothing to install. And yes, GPS location is captured if you want it. Want employees to punch from centralized locations? 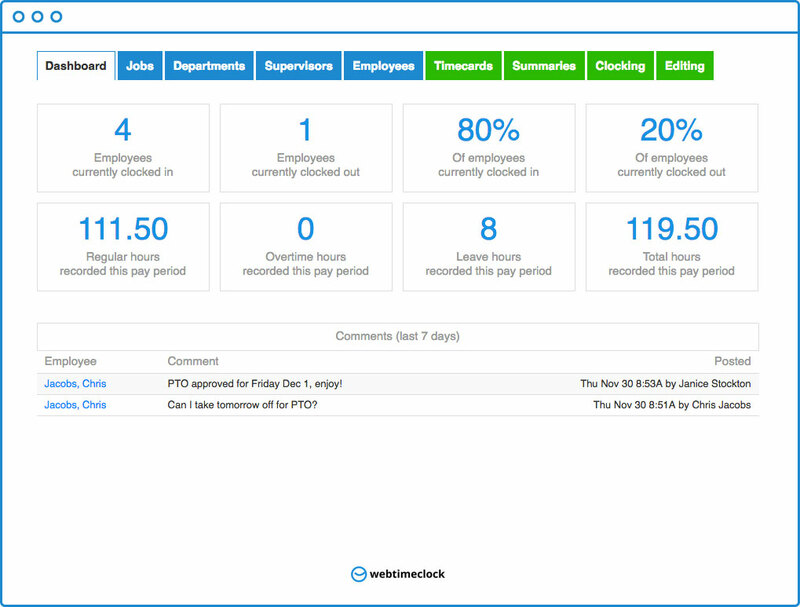 Then use our exclusive time clock web app. Works on any computer or tablet, and includes self-service features. 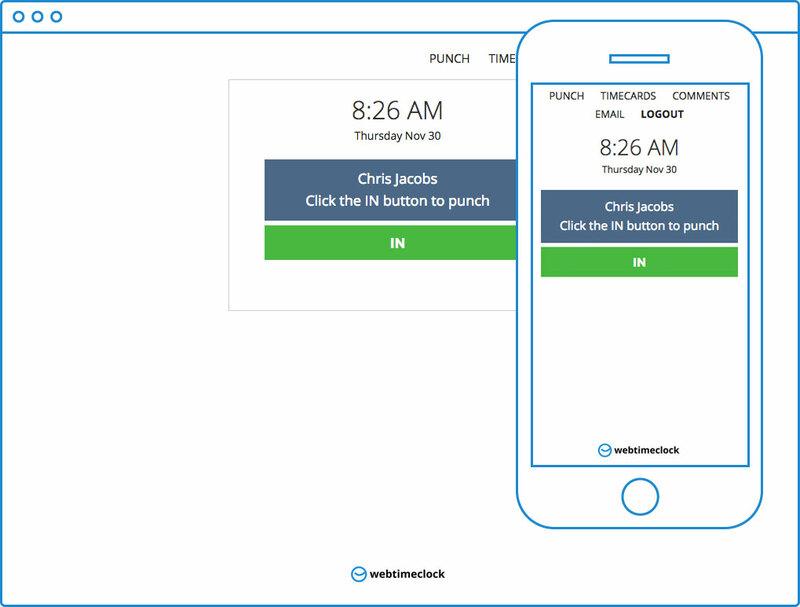 Acts like a native app, but without the hassle. Dashboards are good only when they're useful. Ours will tell you who's working, how many hours were spent, and what the latest comments are. Saving you a ton of time. So yeah, that's useful.